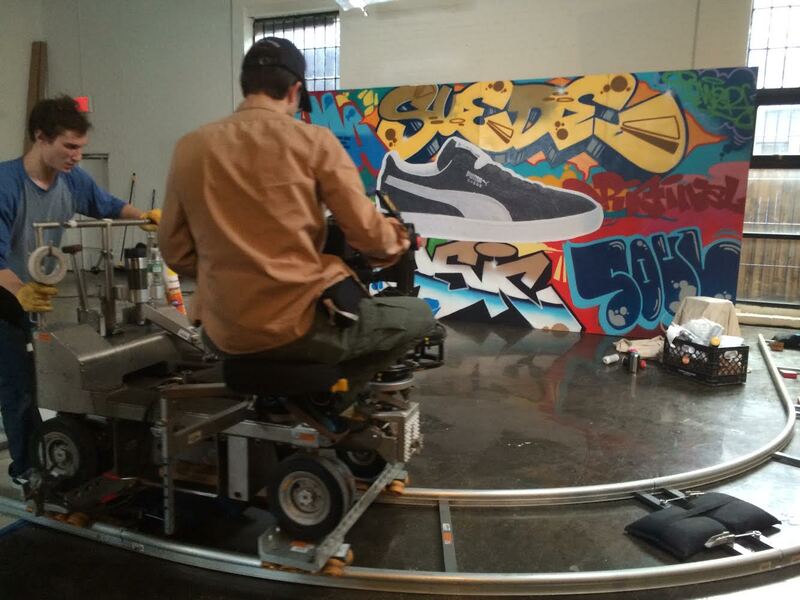 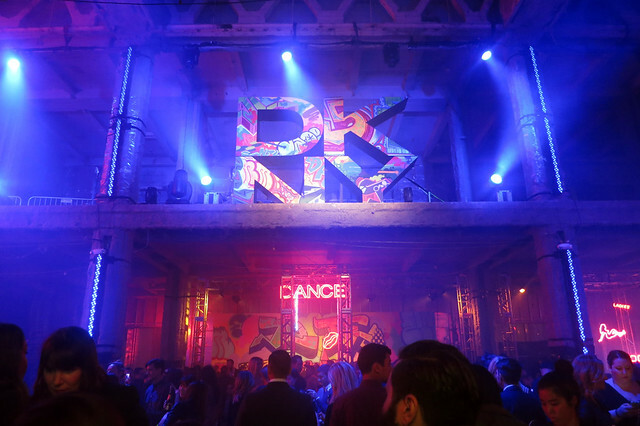 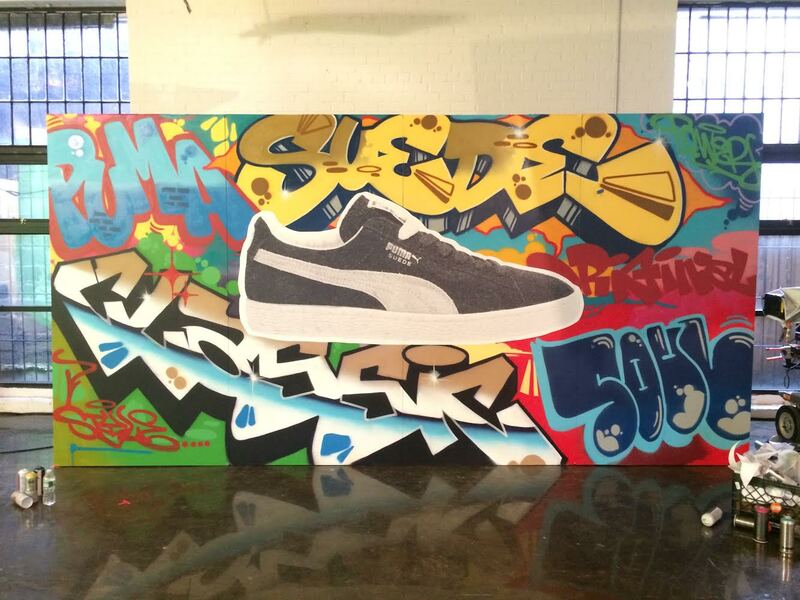 Earlier in the year, we worked with Puma and Rain on a commercial celebrating the anniversary of the Puma Suede sneaker. Check out the video below. 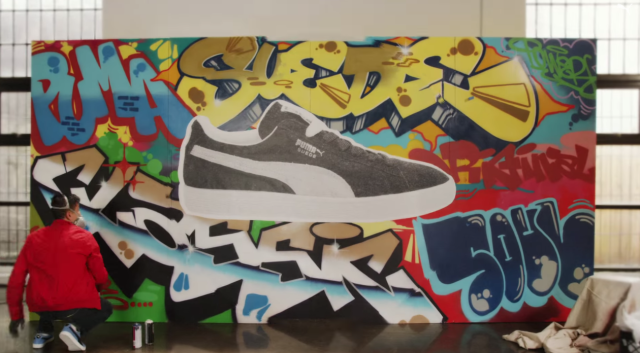 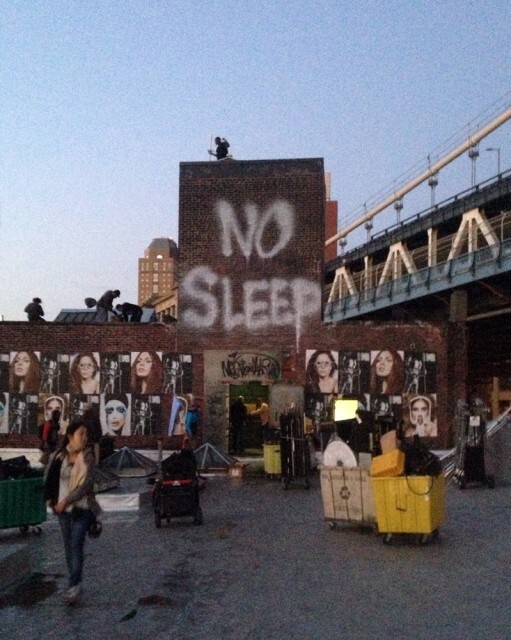 It’s a really quick clip at the (0:34 mark) but you can see the graffiti collage we painted for this project! 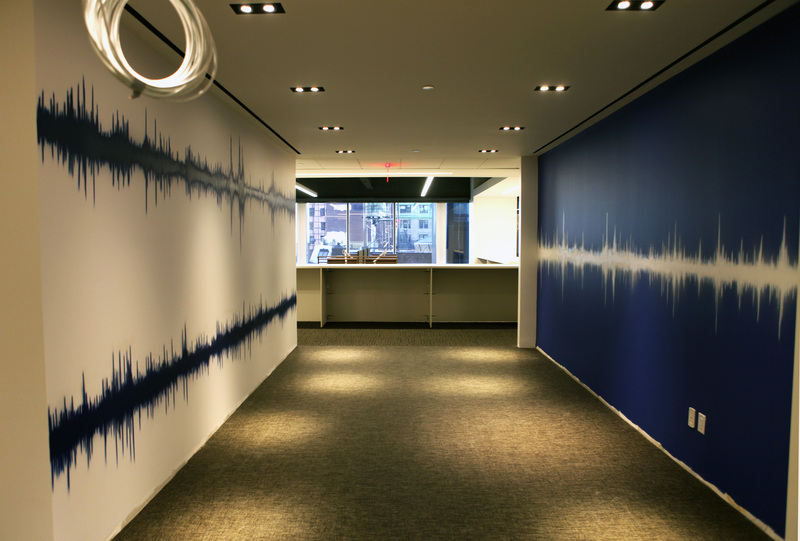 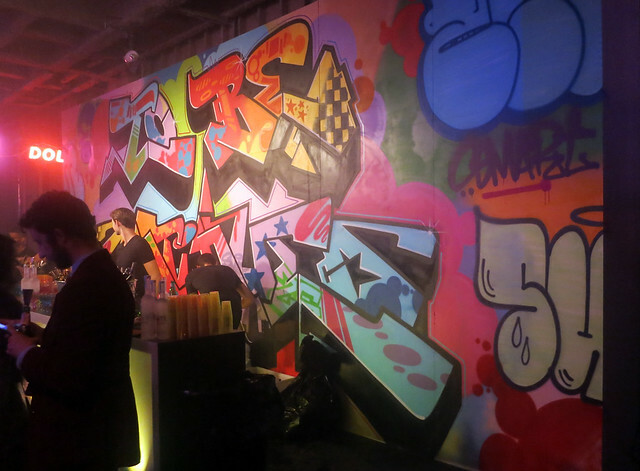 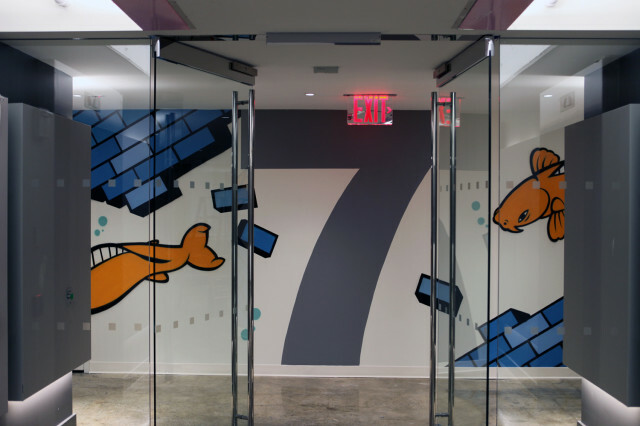 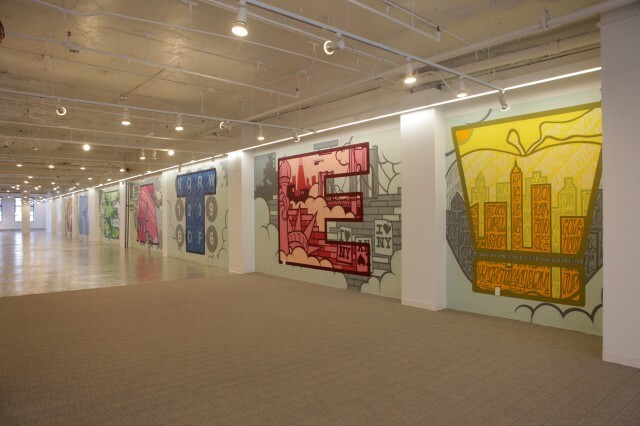 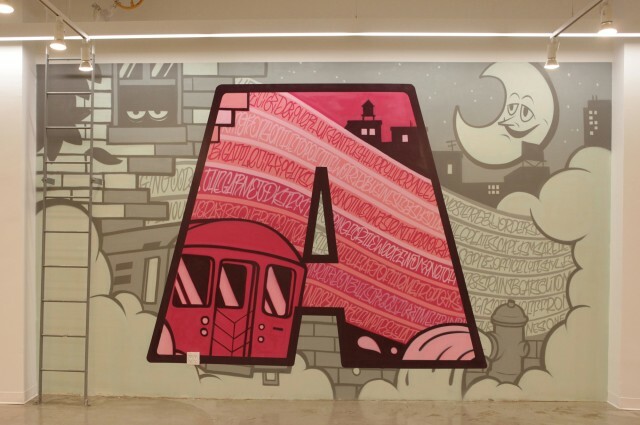 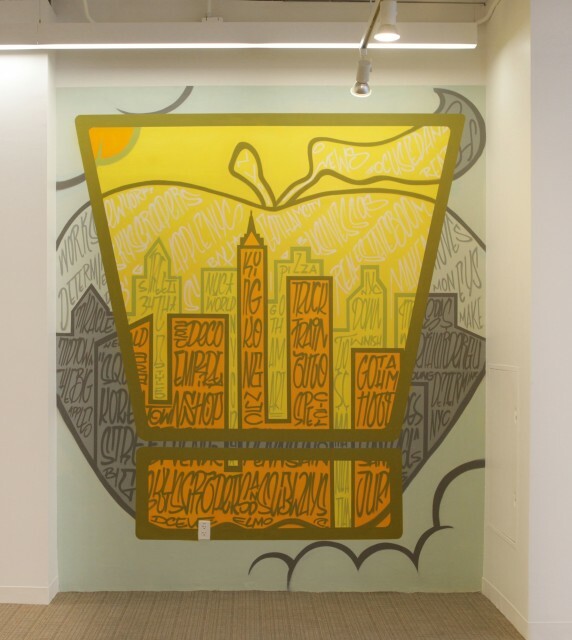 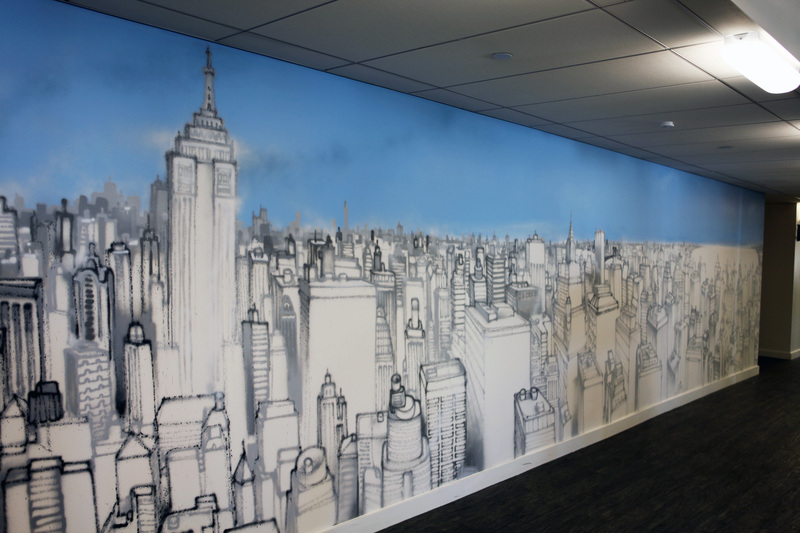 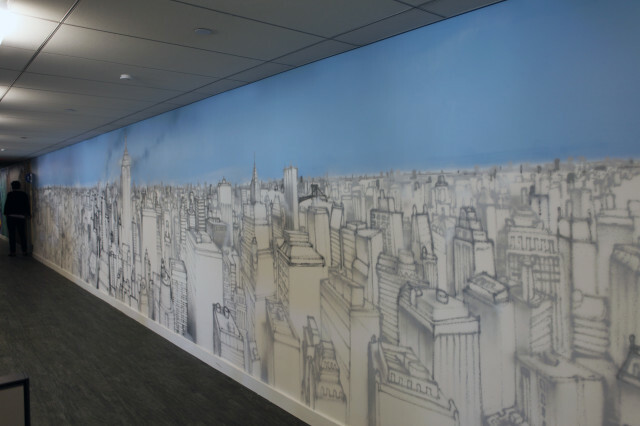 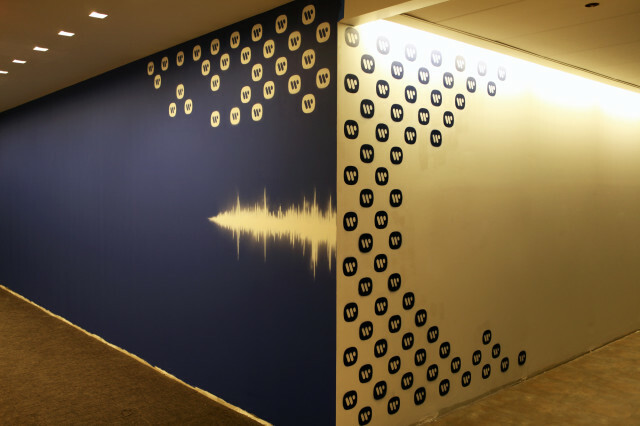 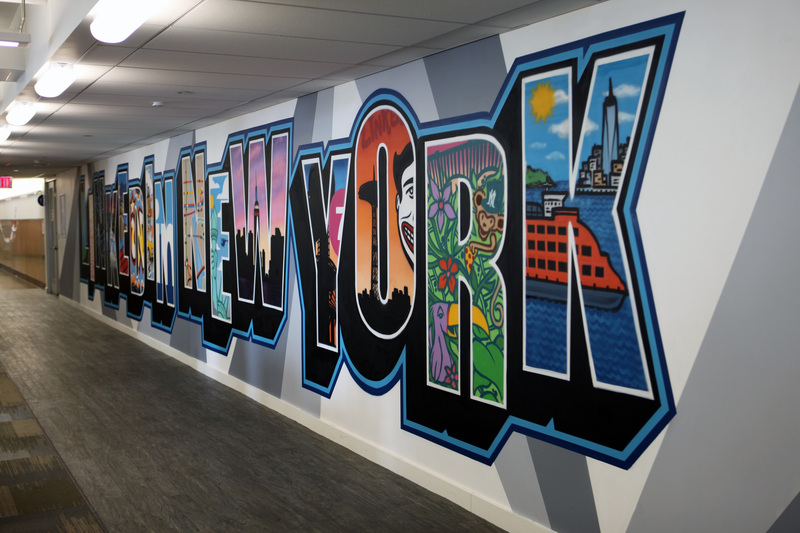 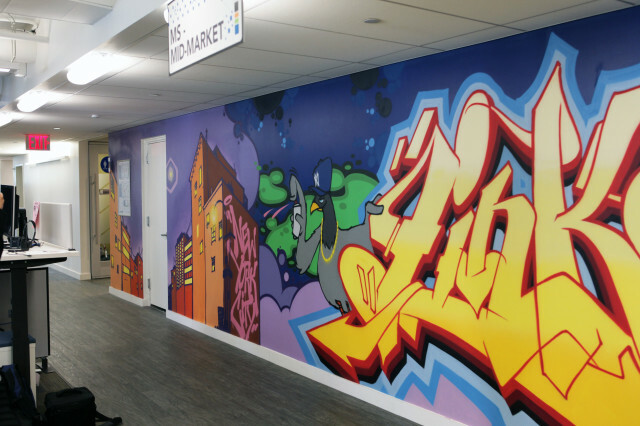 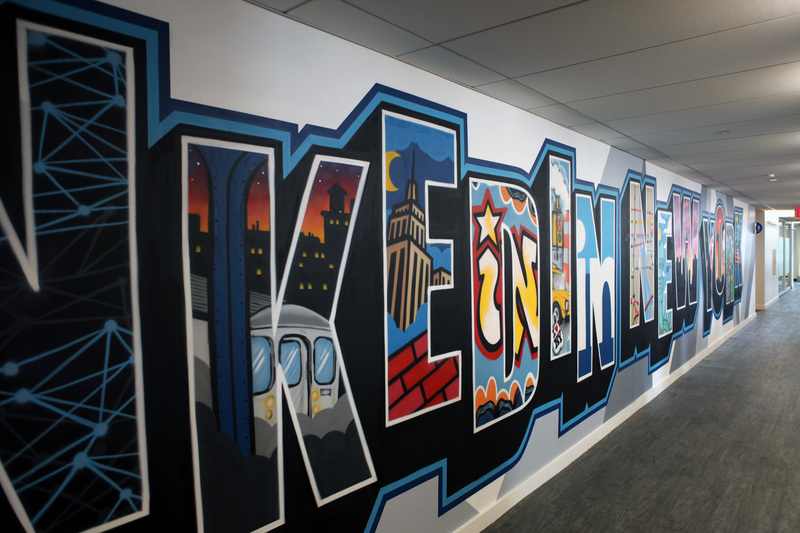 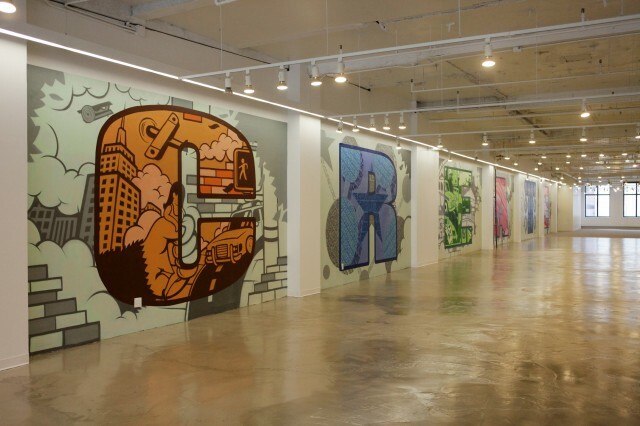 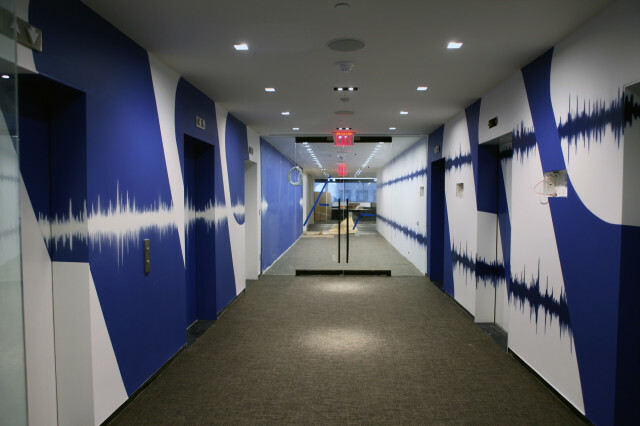 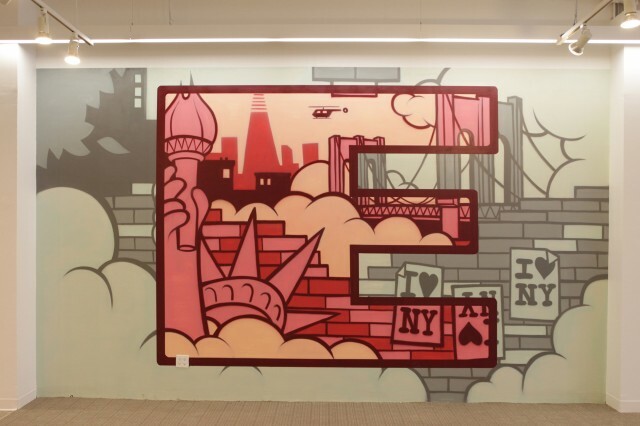 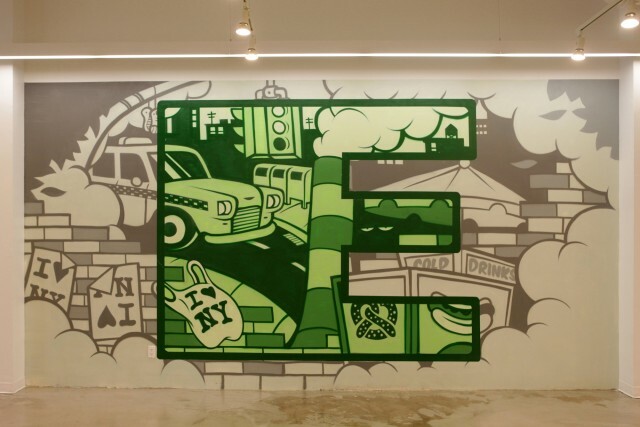 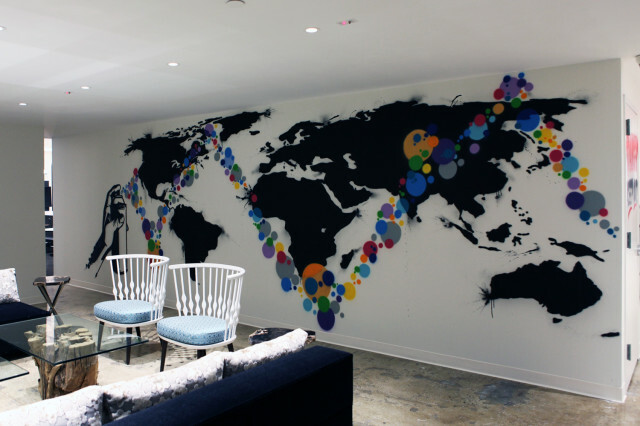 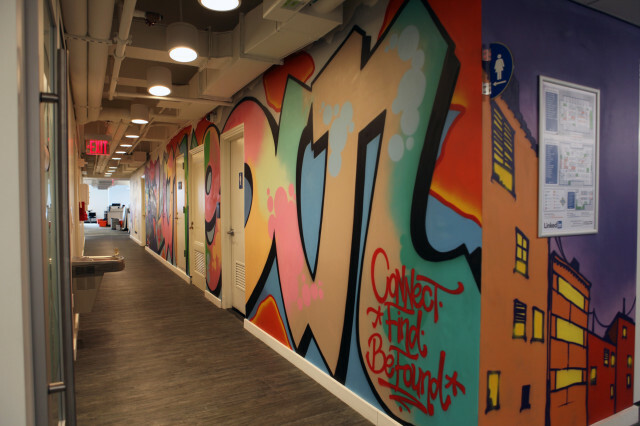 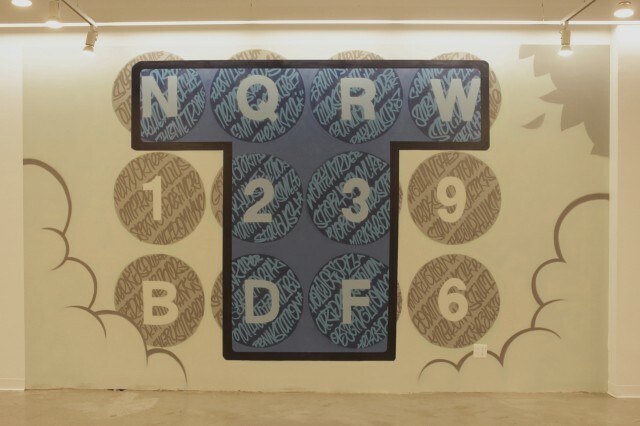 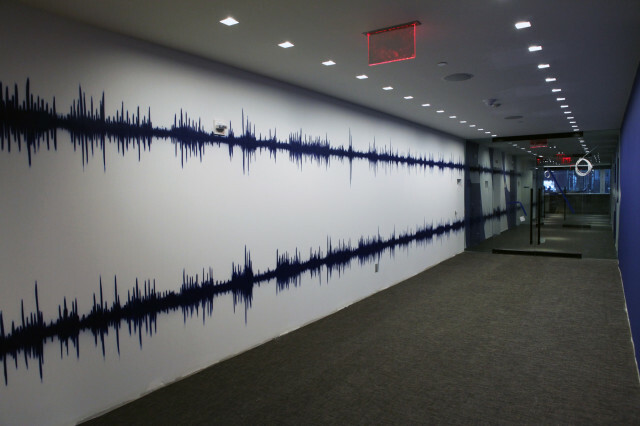 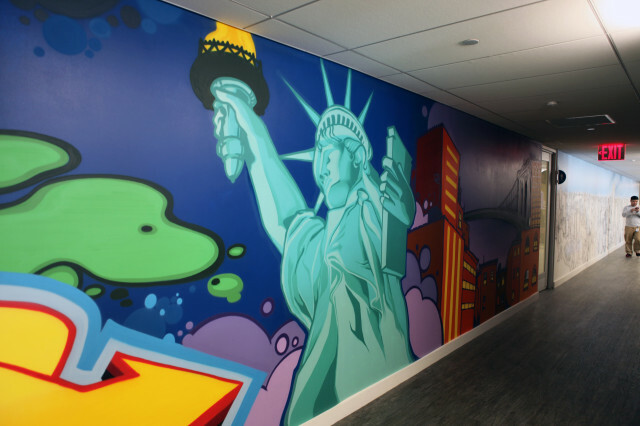 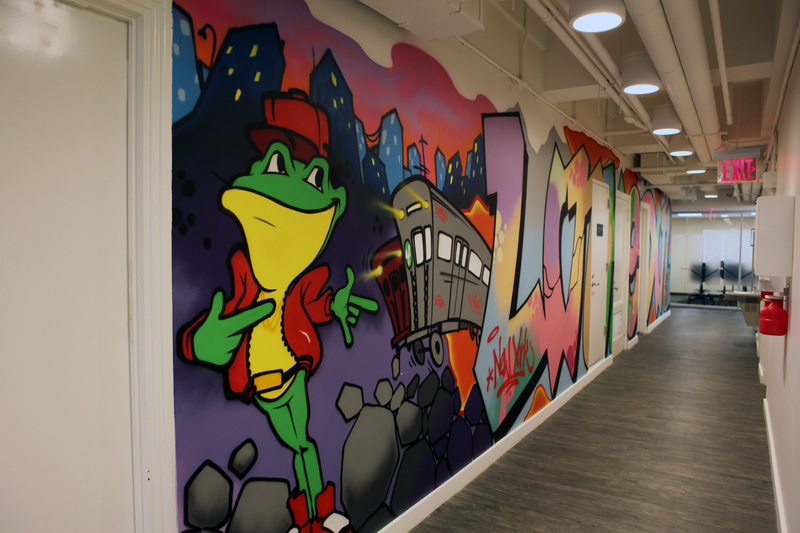 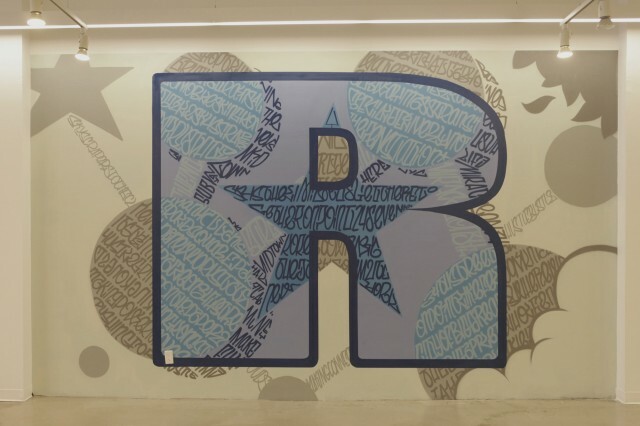 “Weber Shandwick is one of the world’s leading global public relations firms with offices in major media, business and government capitals around the world.” They asked us to come paint some murals in their new offices in midtown, NYC. 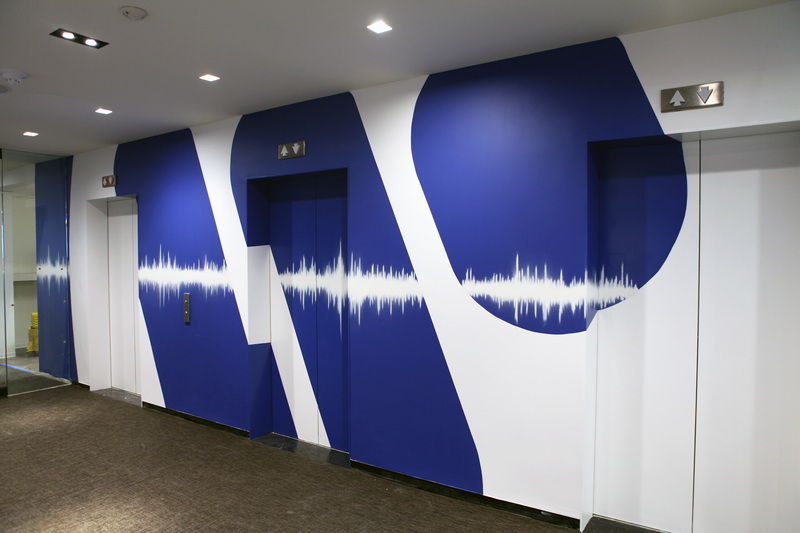 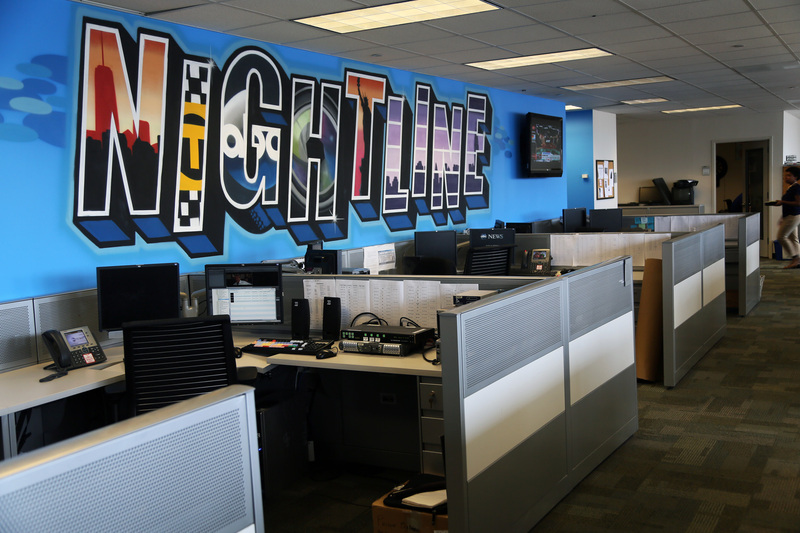 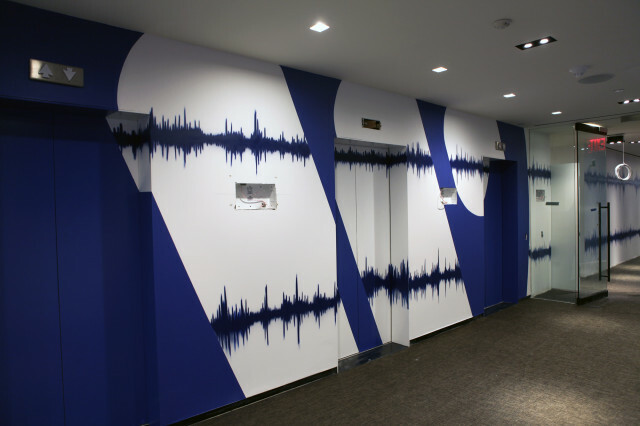 We created some custom murals (in spray paint) on their 6th and 7th floors. 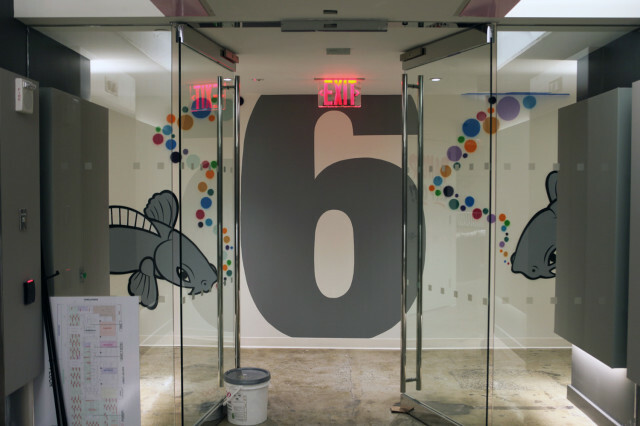 This was a fun project where they gave us a lot of creative freedom to do what we wanted. 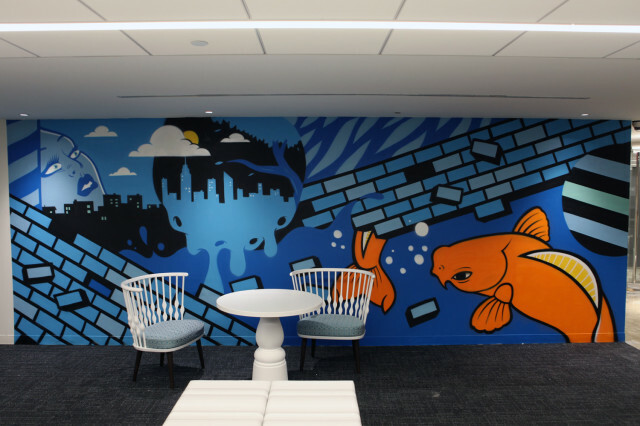 The only request was for some coy fish, which we happily added! 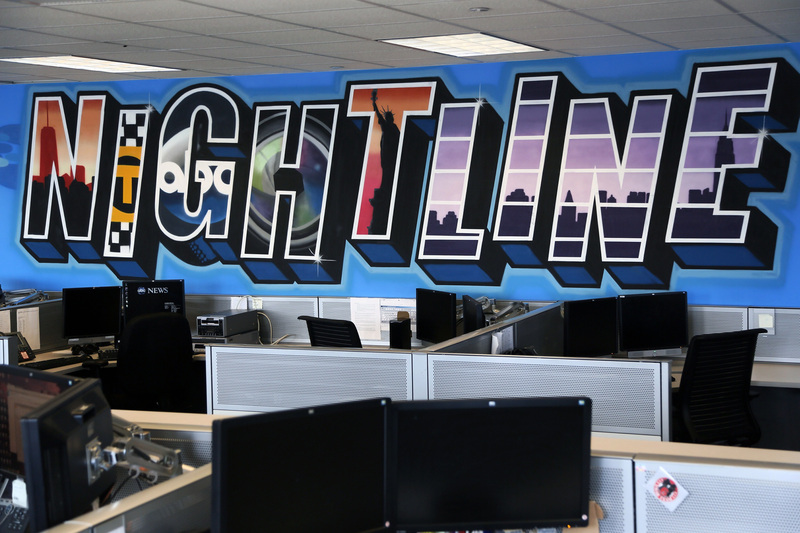 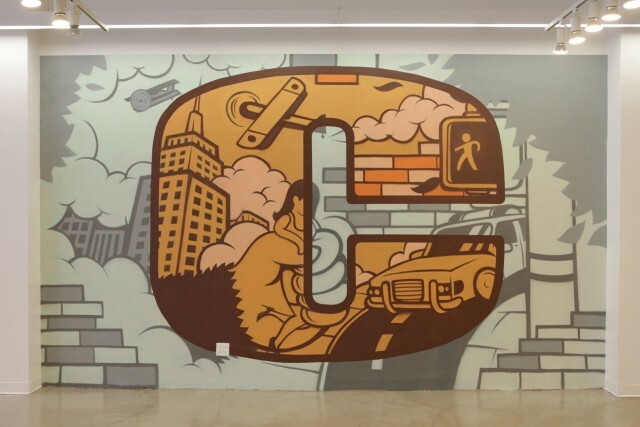 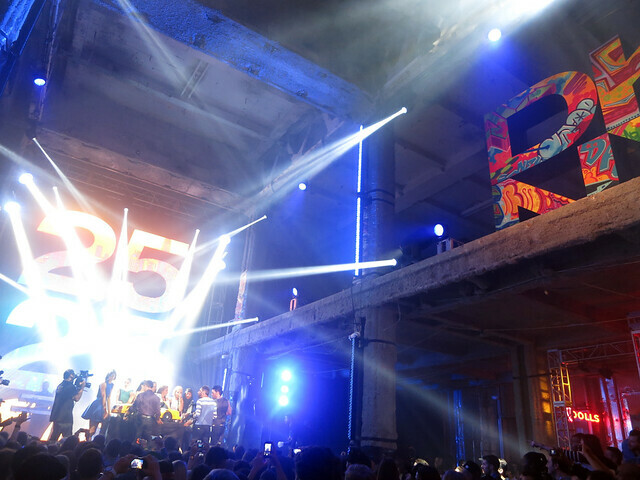 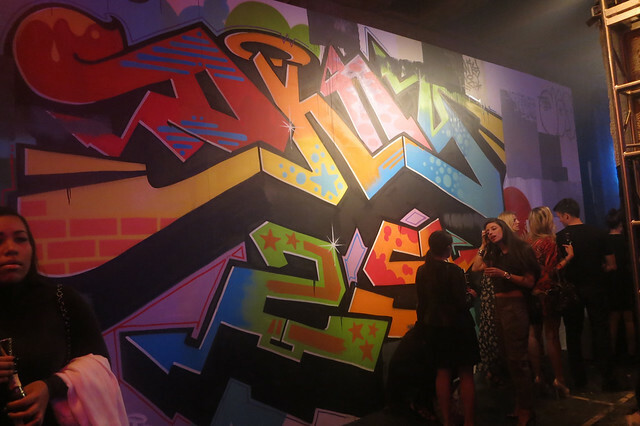 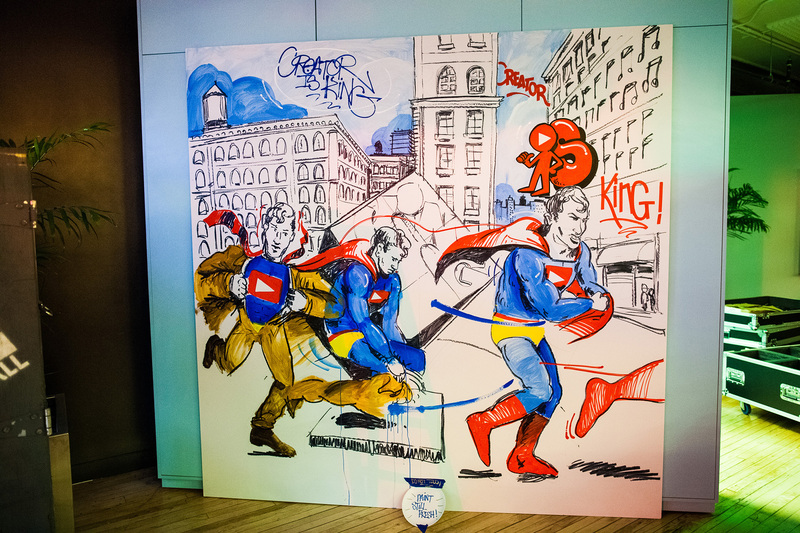 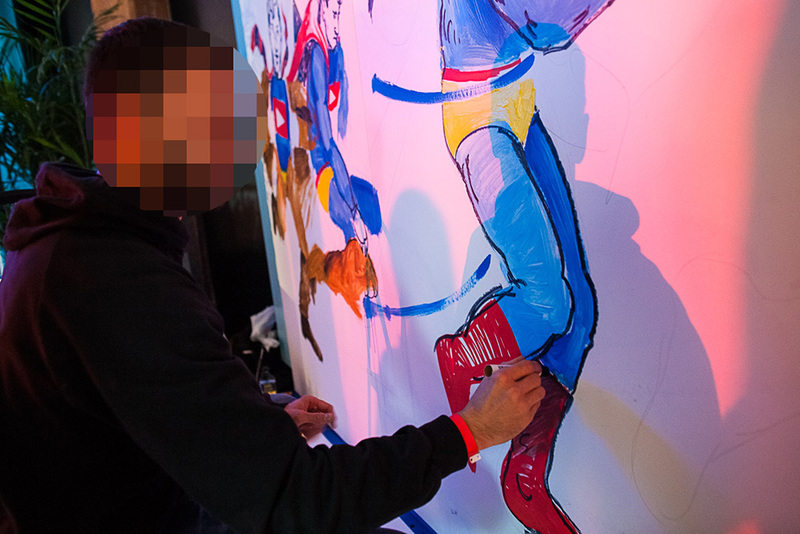 The agency was kind enough to create and share an awesome video of the creation of this mural. Please see the video and photos below! 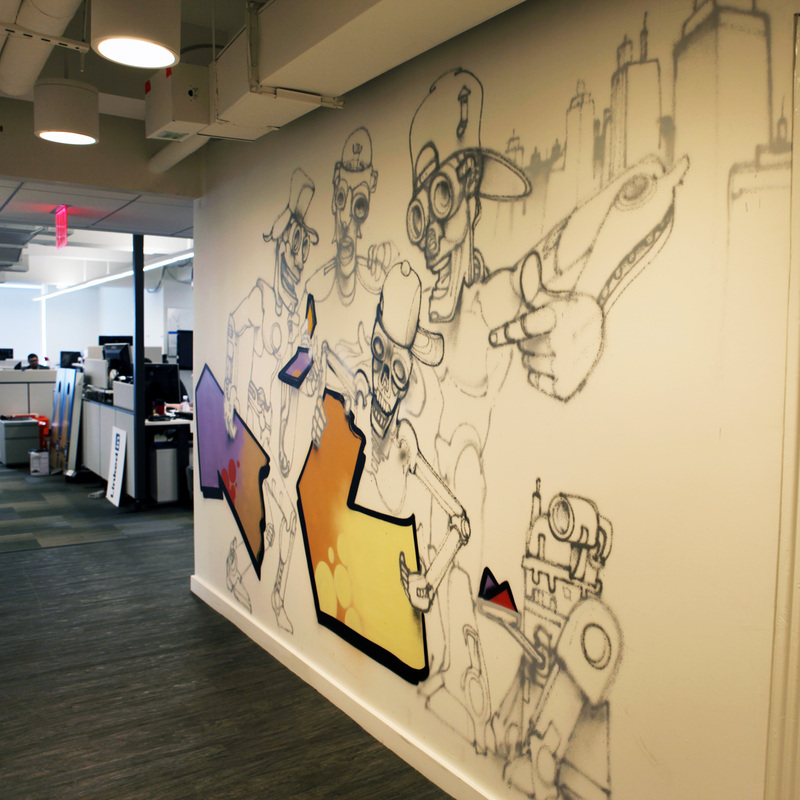 Office Graffiti from Tane Digital Video on Vimeo.